In ten days, Thanksgiving will be gobbling at my door. I know everyone says that time goes zooming by, but this is a bit ridiculous- it completely boggles my mind that 2012 is almost over. But that is not what I’m writing about today. Thanksgiving, with its Autumn feel, its warm colors, its warming foods and all of its accompanying events is on my mind. First and best, Thanksgiving calls my children home. With their busy and involved lives, they still look forward to this time of being together, if only for a day or two. It is even more precious to me knowing that eventually this is likely to change as their lives evolve, and so I enjoy each Thanksgiving year as the gift that it is. This year will be extra special as the Thanksgiving Eve Wednesday, when the kids will all arrive, is also the twins’ 25th birthday. It will be the first time in years that we will all be together on their birthday. 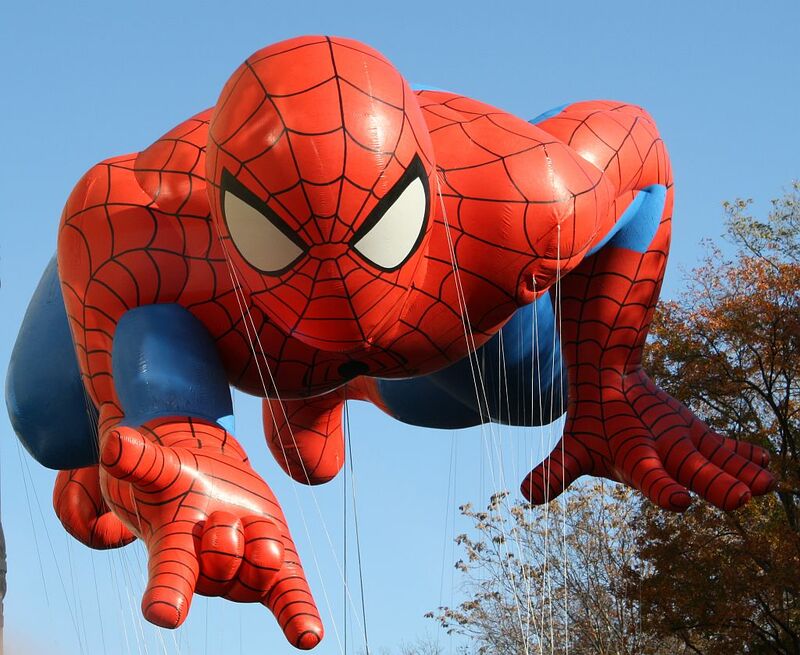 Secondly, the annual Macy’s Thanksgiving Day parade awaits! I go every year, unless it rains, and drag whoever will get in the car on time. Last year it was my husband and my ten-year-old rent-a-kid for her first foray into the city for this special event (I know you are reading this, rent-a-kid, I will pick you up at 6:45 sharp, be ready!). 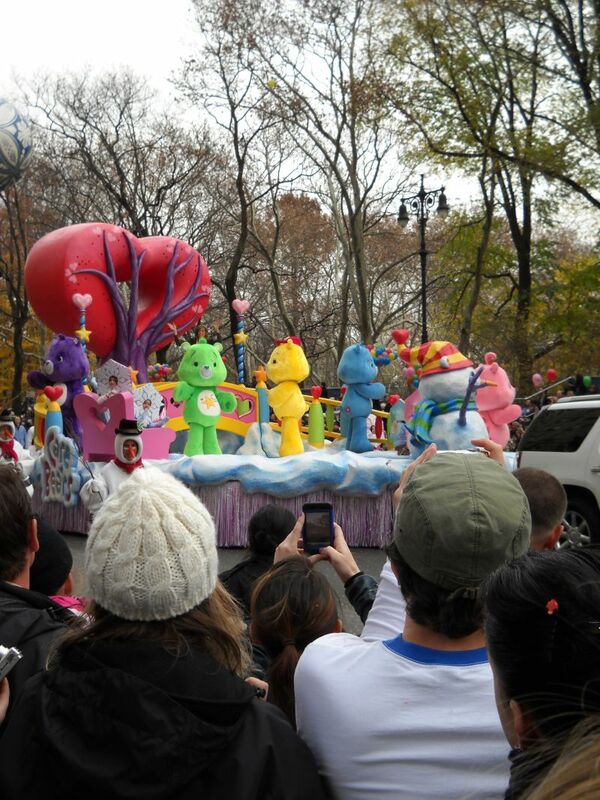 The year before it was my daughter and her Canadian friend who had spent Thanksgiving Eve partying in the city, arrived home on the 5:30 train for a one hour nap and then crawled into the car to head back to the city for the parade. Finding a prime spot on the parade route involves some pretty intense planning- leave home at 6:30 a.m.; park the car north of the kick-off point, grab a taxi down to the 70’s, and elbow our way to the front for best viewing. It is worth all of that to be there for the fanfare and fun. The massive balloons, the rollerblading clowns, the showy floats with their waving celebrities, and finally at the very end, jolly fat old Saint Nick ushering in the Christmas season. Then it’s back to the car to sing along with Arlo Guthrie’s Alice’s Restaurant (in four part harmony) and home to finish the final preparations for the feast. As we sit down around the table, we each tell about what we are thankful for- it sounds hokey and I think the kids are a bit embarrassed that we still hold to the tradition. My husband and I, however, think that saying aloud that you are grateful for your gifts is a lesson in healthy humility. Then it’s chow time! Each year after dinner we waddle around the neighborhood to shake loose our intestines so we can make room for the pies, puddings and coffee to follow. When we are all in a food coma, the holiday can be called a rousing success. Anyone who has been following my blog, or who knows me personally, knows that Thanksgiving brings together my two most very favoritest bestest things in the whole world: my kids and food. What could be better than hanging out together, relaxing, eating and talking just like the old days? Answer: absolutely nothing. I know how fortunate I am, and that is what I am thankful for. How about you? 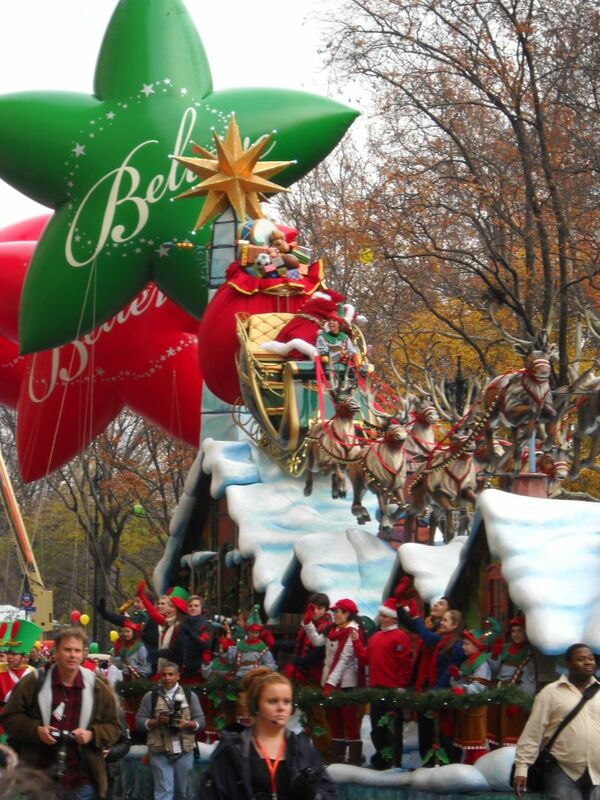 …and Santa ends the parade! Oh pooh, I miss Thanksgiving already.